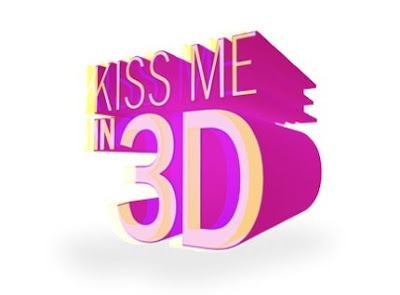 Crest White Strips is launching "Kiss Me in 3D" on Saturday (with ad spots on Sunday) that by all accounts will provide a bevy of online hotties to blow kisses your way. My company has done this work (though I am not on the account) and I have specifically and repeatedly asked for George Clooney to be made available to me. The team says I have to wait and see like everyone else. So thanking them for the "add to your calendar" function - I've put it on iCal. My glasses are ready. Come on Clooney. Sobe Life Water is also on the 3D bandwagon, with a funny spot that features friend of Moda di Magno and Patriots tackle Matt Light. I had no idea he had these kind of dance moves in him. The commercial below is in 2D (check out the HD version at YouTube) but the 3D spot will run during the Super Bowl. 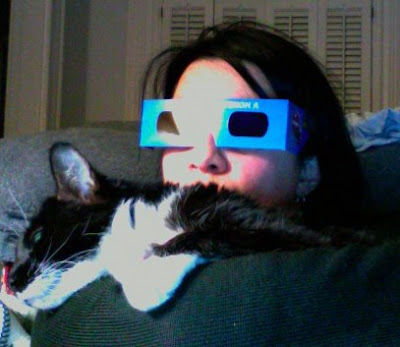 NBC's Chuck in 3D? That's going to be super weird. (Check out the promo clip HD version on YouTube.) Freaky. In today's f*cked up world, it is a sincere relief to know that I can visit Twitter at any time and gain social media insight, advertising nonsense, political nonsense, weather warnings, fashion trends, hot shopping tips, identify theft news, local news, recipes, Hot Stove gossip, insanity, general bitching, etsy bitching, artisan discussions, most of the cast of pretend MadMen, and flat out (I'm gonna get busted in a meeting one day) laughs. Thanks peeps. Special thanks to Steve Woodruff for the idea. Thanks to Walter Higgins for a link to the code.